Unmanned lunar missions designed to revive Russia's troubled deep-space exploration program will lift off three years later than previously promised. An official announcement of the nation's space science program at a major scientific summit in Moscow revealed significantly delayed launch dates for a trio of lunar probes. Above: Russian lunar exploration strategy as of 2014 (CLICKABLE). 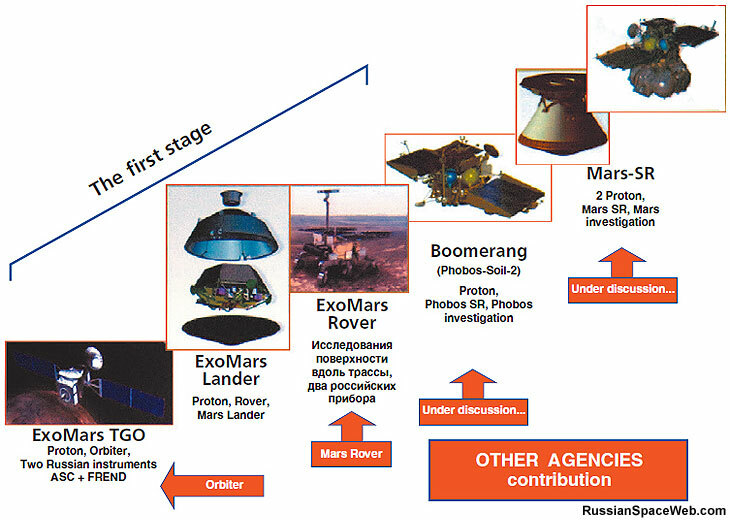 Above: Russian Mars exploration strategy as of 2014 (CLICKABLE). During the 40th assembly of the Committee on Space Research, COSPAR, opened in Moscow on August 2, 2014, Lev Zeleny, the director of the Space Research Institute, IKI, revealed latest schedule for the Russian planetary exploration and space science program. Although all previously approved projects still remain on the table, the nation's series of lunar missions face a domino effect of delays. 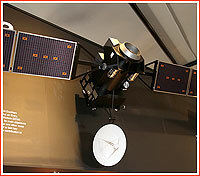 Russia's first post-Soviet attempt to land on the surface of the Moon was pushed back from 2016 to 2019. 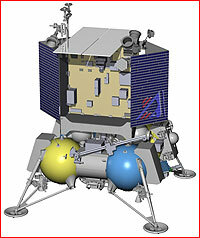 Known as Luna-Glob or Luna-25, the unmanned lunar lander was designed to test landing techniques for future lunar missions. On the political front, the successful landing of the Luna-Glob would be a signal to the international scientific community that Russia is back in the planetary exploration business after the 2011 fiasco of the Phobos-Grunt mission. As a result, space agencies around the world would be much more confident that their investments into scientific cooperation with Russia would not be "lost in space." A three-year delay of the Luna-Glob mission was dictated by a huge pressure on the Russian industry to develop and adequately test a complex landing system for the European ExoMars rover. The Russian space agency, Roskosmos, found itself in the driver seat of the European-led ExoMars program almost overnight, after NASA had bailed out, leaving the flagship project on the brink of cancellation. As a result, the European space agency, ESA, had no choice but to ask Russia to contribute its Proton rocket for the launch and also share the development of the rover's landing platform. Due to a combination of technical and economic problems, none of the Soviet or Russian space probes had ever succeeded in conducting science on the surface of Mars. Ironically, the ExoMars rover itself will most likely face a delay from 2018 to 2020, even though all official Russian and European schedules still list 2018 as the launch date. However, if ExoMars has to wait until 2020, the Luna-Glob launch in 2019 will still precede the liftoff of ExoMars in 2020. Two remaining unmanned lunar missions in the approved Russian space program were pushed into 2020s. 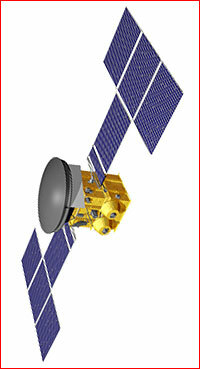 The lunar-orbiting mission, alternatively known as Luna-Glob-2, or Luna-26, was delayed from 2018 to 2021. 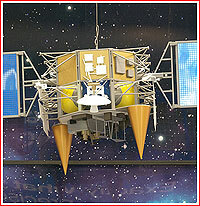 In turn, the second lunar lander Luna-Resurs (a.k.a. 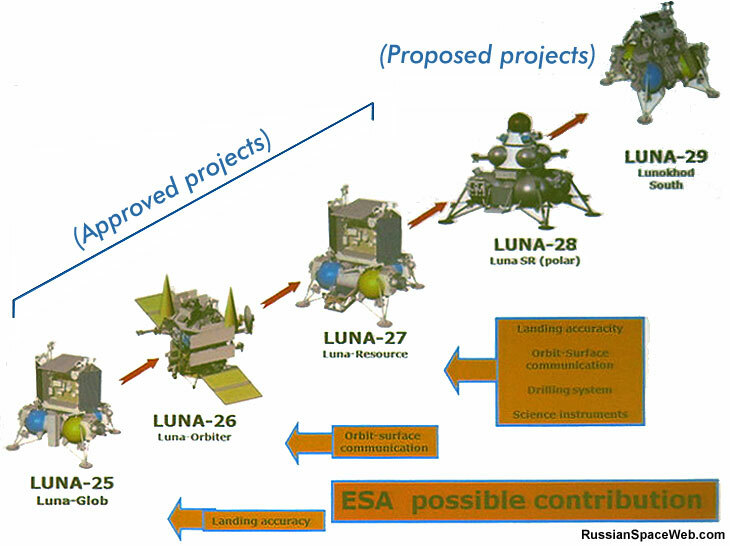 Luna-27) equipped with a full complement of scientific instruments was now postponed from 2019 to 2023. If successful, these missions might pave the way to a repeat of the Phobos-Grunt mission now provisionally promised to fly in 2024. More realistically, it could lift off sometime in the second half of 2020s. In the meantime, previously proposed Russian missions to Jupiter, to Venus, to Mercury and to asteroid Apophis were not included in the 2016 decadal budget, thus pushing their launch dates beyond 2025. 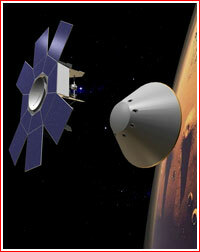 In 2014, Roskosmos drafted the new Federal Space program, which would extend from 2016 to 2025. According to the document, 28 billion rubles would be spent on six lunar missions during this period. (Previous estimates cited 28.5 billion rubles). The first four missions were expected to cost 14.63 billion rubles. Along with two landers and one orbiting mission, which had migrated from the previous 10-year plan, a second lunar orbiter was apparently added to the new program. The second orbiting mission aims to ensure that at least one such a spacecraft would be available in orbit around the Moon to act as a communications relay station for the Luna-Resurs lander and the Luna-Grunt sample return mission, during their critical approach and descent to the lunar surface now planned for 2023 and 2025 respectively. By the fall of 2014, Russian officials "advanced" the lunar exploration schedule by two years citing 2017, 2018 and 2019 as launch dates for the Luna-Glob lander (Luna-25),the Luna-Glob orbiter (Luna-26) and Luna-Resurs lander (Luna-27) respectively. The second lunar orbiter was no longer mentioned. The delivery of soil samples from the South Pole of the Moon was promised in a period between 2023 and 2025. As time would show, this schedule turned out to be unrealistic.